Tanushree Dutta is back and this time she has slammed Ajay Devgn for working with #MeToo alleged actor Alok Nath, in his upcoming film De De Pyaar De. She didn’t stop here and continued to slam, “Overrated actors and human beings who have created clout by clever PR machinery and careful manipulation of public sentiments, old stuffy morons who can’t tell the difference between what’s right and wrong and what is the need of the hour!.” Tanushree said. Using some intense words against Ajay (without taking his name), Tanushree said, “It’s time India wakes up and stops worshipping these morally bankrupt actors, directors, producers and others who clearly put on a facade of being family men just to promote their careers that they build on the tears of women like Vinta and others whom they silence using their muscle power. If you dig deep you will find skeletons in their closets so horrendous that it will totally make sense why they would stand supporting the accused rapists, harassers and abusers and why their conscience doesn’t prick them while doing so and why they give evasive answers when questioned. Birds of a feather always flock together and that’s why perhaps it doesn’t bother some of these people to work with a guy who has been accused by several women of horrendous behaviour and that’s why there’s always an excuse. The law and order in India has always been skewed against the victims of sexual crimes and that’s why the criminals have always been out on bail, the burden of proof always on the poor woman and hence justice in court has been a far fetched dream mostly apart from very few exceptions that too after years perhaps. But now we know that even the bigwigs of Bollywood not only love to support such creepy individuals but when u question them they give weird answers! The disgrace is not in the question or the topic but in your own conscience and soul!! You are the disgrace! During the #MeToo wave in the industry last year, Ajay Devgn had shown his support and tweeted that neither he or his company will stand by the #MeToo alleged persons. However, later at DDPD’s trailer launch when he was asked about Alok Nath’s presence, he said that the film was shot before the allegations surfaced. 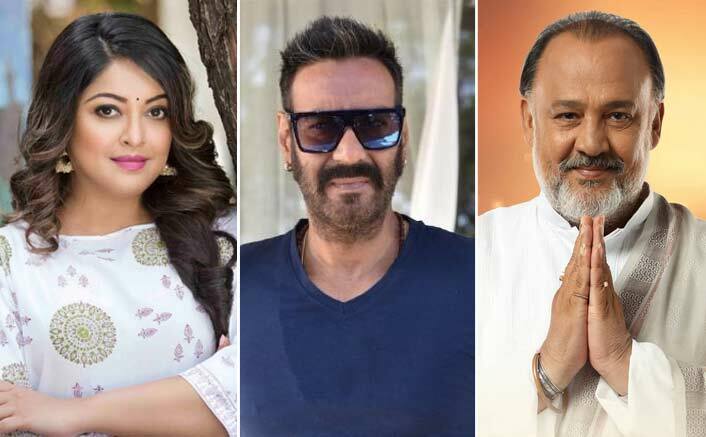 The post #MeToo: Tanushree Dutta Slams Ajay Devgn For Working With Alok Nath, Calls Him Morally Bankrupt appeared first on Koimoi. Next Article Kalank Movie Review: Theatre More Pardesiya – Nahi Padharo Piya!